sinobry has no other items for sale. There are 806 items available. Please enter a number less than or equal to 806. Great. Got exactly what I ordered in a reasonable amount of time. Great seller - Fast shipping - Will buy again. Just what I needed, when I needed it. There is only router mode and there isn't not any option to change it. Haven’t been able to get it to recognize a modem sitting next to it. I never have any issues setting up simple devices like this but the instructions are not that useful other than giving you a URL to go to. When I went to the supplied URL, it pulled up the correct page but it was written in what I assume is either Korean or Japanese with no option to change language. Even after navigating through the menus based on supplied pictures and pure luck, I could not connect to the internet at all. A lot of wasted time and money. Great WiFi extender booster . The 300Mbps wireless n range extender worked great for my laptop to use WiFi with. It not only works great between walls but from a long distance as well. 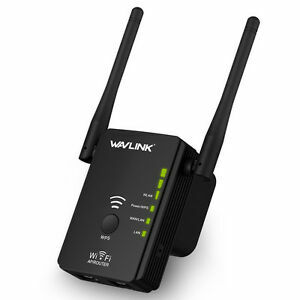 I love it and would recommend it to anyone wanting a WiFi booster.